A design that is sure to light up conversation, the Seletti Think Box is a statement piece that combines cool typography with vibrant colour. 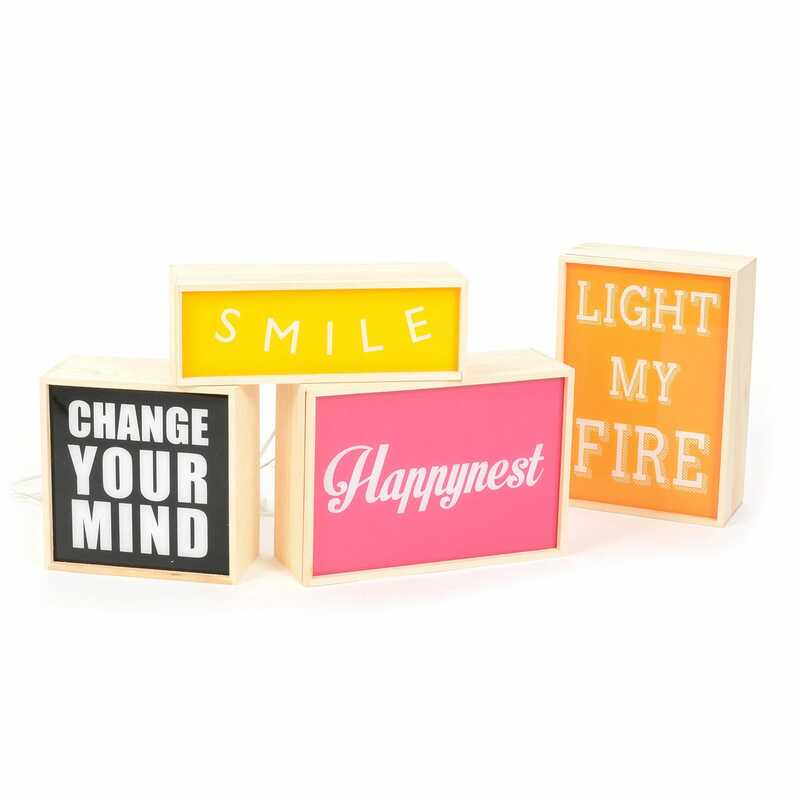 Featuring 4 interchangeable Perspex sheets, designs include 'Happynest', 'I have a dream' and 'Light my fire' alongside one blank sheet to create your own unique statement. However I was a little disappointed with the product. Not really value for money.